Dedicated to your Health and Wellness! Dr. Sarah Woolever of Bloomington, Minnesota earned her Bachelor of Science degree and Doctorate in Chiropractic at Northwestern Health Sciences University College of Chiropractic. 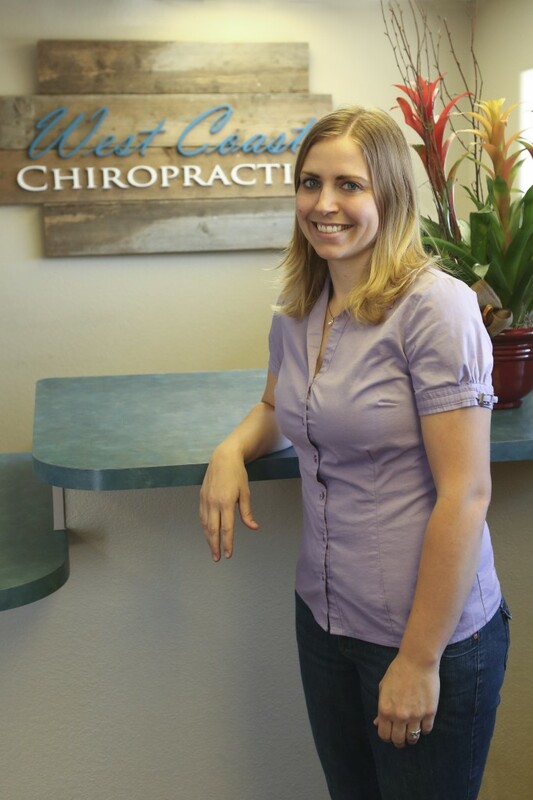 She comes from a family of health care providers, and she wanted to become a chiropractor like her father from a young age. Her passion for natural health care was influenced by research and watching people frustrated with the allopathic paradigm. Dr. Sarah is married and has 2 girls, 5 and 1. She achieved a lifelong dream of having a beautiful birth at home with her youngest daughter. She interned for a year at 50th and France Chiropractic in Edina, Minnesota alongside Minnesota Chiropractors of the year Dr. Carrie Clark and Dr. Christopher Jo. She had the opportunity to be a volunteer at La Clinica de la Mariposa treating underserved populations in Costa Rica as a student which motivated to share chiropractic even more. After that phenomenal experience, she did her externship with Drs. Jeremy and Nick Schembri, and she joined the West Coast Chiropractic team shortly after. In her undergraduate years, Dr. Sarah studied abroad in both Costa Rica and Nicaragua learning about Latin American culture and increasing her knowledge of the Spanish language. She spent 3 months volunteering in Ghana, West Africa at the base of Adaklu Mountain doing capacity building for the Adaklu Mountain Ecotourism Committee. She worked on computer literacy, transparency, and goal setting with the members. 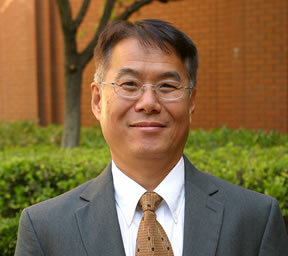 My name is Dr. Daniel Nam, a licensed acupuncturist and the founder of the Union Acupuncture Clinic in Lake Elsinore, California. I have a Ph.D. in Oriental Medicine and Acupuncture. Acupuncture is an alternative medicine methodology that treats patients by manipulating thin, solid needles that have been inserted into acupuncture points in the skin. Stimulating these points can correct imbalances in the flow of Qi (energy) through channels known as meridians. Acupuncture can safely treat various pain problems by releasing natural endorphin in a patient. It is beneficial for patients whose conditions do not respond well with the conventional medicine and therapies, especially for those patients with difficult neuro-muscular pain syndromes. Since the benefit of acupuncture is now recognized by insurances, patients should try acupuncture. I practice both traditional Chinese and innovative styles. My techniques include a gentle auricular acupuncture for detox/diet and emotional well- being, Korean Four-Constitution treatments, Cupping, Acupressure, and a full line of Chinese herbs for various ailments. My specialties are spinal back problems, sports injuries, drug addiction, and emotional well-being. Some of the other problems that can be treated by both acupuncture and Chinese herbs are: allergies, arthritis, attention deficit hyperactivity disorder (ADHD), colds, cough and flu, anxiety and depression, diabetes, digestion, feet pain, fibromyalgia, fatigue, headache/migraine, immune diseases/disorders, muscle aches, sprains and strains, neck and shoulder pain, sleep/insomnia, smoking, and weight loss. Our clinic takes Workman's Comp and Auto Accidents injury cases, and we accept most HMO and PPO health insurances. We also offer an affordable cash program for those who do not have eligible acupuncture insurance. "Personalized Care" is my practice motto. Personal attention is provided for your patients' best clinical results. Union Acupuncture Clinic is affiliated with Lake Elsinore Chiropractic, we provide all of your acupuncture, and Chinese herb needs. Please call for a free 30-minutes office consultation for all new patients today. Publications Six poster (abstract) presentations on detecting various abused drugs and alcohol in human blood, urine and saliva by various immunoassay formats on Society of Forensic Toxicologist (SOFT), International Association of Forensic Toxicologist (TIAFT) and American Association for Clinical Chemistry (AACCC) Annual Meetings from 1984 to 2006.